Founded in 2011 by professional break dancer and International Olympic Committee (IOC) “Athlete Role Model” Moises “Moy” Rivas, Break Free Hip-Hop School has operated as an arts education center, youth outreach program, and worldwide artist collective aiming to proliferate positive Hip-Hop culture to a new generation of young artists. Through art forms such as as breakdancing, DJ’ing, graffiti art, and poetry, Break Free effectively mentors its students to be goal oriented and self-expressive individuals. Currently, Break Free has expanded to a global agency known as Break Free Worldwide – a firm aiming to proliferate Hip-Hop education, lifestyle influence, program development, and artist professionalism. Break Free Hip-Hop School in Houston continues to operate as home-base for the vision of Create Your Escape – join in on the movement supporting local Houston communities through arts education! Sota Omi started breaking in 2010 at the age of 15, and has since accrued major solo and crew titles spanning the top international break dance events. In 2014, Sota became part of the first duo to ever win BBOYPARK, Japan’s largest hip-hop block party. In the same year, Sota won the UK B-BOY CHAMPIONSHIPS JAPAN, earning him the opportunity to represent Japan at the B-BOY CHAMPIONSHIPS where he made it to the round of 8. 2015 brought Sota a big win at OLD SCHOOL NIGHT, one of Japan’s three biggest break dancing events. The same year, Sota took first place at STREET DANCE KEMP (SDK) ASIA and was named Asia’s representative to SDK EUROPE, the world’s most prestigious street dance gathering held in the Czech Republic. Sota and his crew became the youngest group in SDK history to win top prize. 2016 saw Sota named champion of KING OF COLLEGE, the largest competition for college-level break dancers in Japan. Also in 2016, and more recently in 2018, Sota won the BUZZ STYLE college dance event, securing his place at the top of Japan’s university student street dance scene. Sota, known for his acrobatic original power moves, continues to make his mark at high level dance competitions across the globe. He is currently pursuing dance studies with Break Free Hip-Hop School as a recipient of a scholarship from the Ministry of Education, Culture, Sports, Science and Technology of Japan (MEXT). The Yano Brothers is a vocal unit featuring three brothers of Ghanaian and Japanese descent. Melding Japanese lyrics with a lively African rhythm, the trio is known for creating “Jafrican” music born of a fusion of genres. Identified by Mainichi News as the face of a changing Japan in the “Heisei Transformation,” the Yano Brothers have embraced their role by turning their experiences with prejudice and racism into songs. The brothers were born in a small village in Ghana to a Ghanaian mother and a Japanese father. Their father, an architect, was in Ghana to build the Noguchi Hideo Memorial when he met their mother. After spending 6 years in Ghana, they moved to Tokyo. However, due to difficulties adjusting to their new life in Japan, the Yano parents divorced, and the boys spent the next 8 years in orphanage school. Eldest brother Michael became a pioneer in the sport of soccer as the first Japanese professional soccer J-League player with African roots. Following an early retirement and a career in professional mixed martial arts limited by health issues, Michael turned to music. He quickly rose to fame upon winning TV Tokyo’s first ever “RYUHA-R” (流派-R) Battle. Since, the rapper, singer and songwriter has been featured in songs by Aki Yashiro (矢代亜紀) and MAX, and has written songs for Hiroshi Tamaki (玉木宏), Maki Goto (後藤真希), Korean Boy Bands 2PM and U KISS, sports celebrities, tv dramas and more. Middle brother David began modeling and acting during university. He has been the face of Uniqlo and represented Recaldent and Panasonic’s Eneloop. David also serves as a commentator making regular appearances on Japanese tv programs such as Sekai Fushigi Haken (世界不識発見), Ohayo Nippon (おはよう日本), and News Zero. David has had acting roles in movies such as Train Brain Express and Nippon Dandy, and has also been featured in documentary films, including Hafu, which depicts the emotional conflicts that mixed-blood people experience. Following David’s first visit to Ghana, he founded Enije group to help impoverished children by engaging in pilot projects in Ghana to reform its education system. Youngest brother Sanshiro is a youth soccer star who followed his elder brother Michael into music. While pursuing his musical interests, Sanshiro studied pharmacy and now works as a pharmacist for a well-respected Japanese pharmaceutical company. Click here to learn more about the trio. Sachet is a musical trio that fuses Japanese and Western musical elements with a distinct harmony. Borrowing from the French word “Sachet,” phonetically pronounced “Sashie” in Japanese, the trio formed in 2016 aims to deliver music that gently envelopes their audiences. 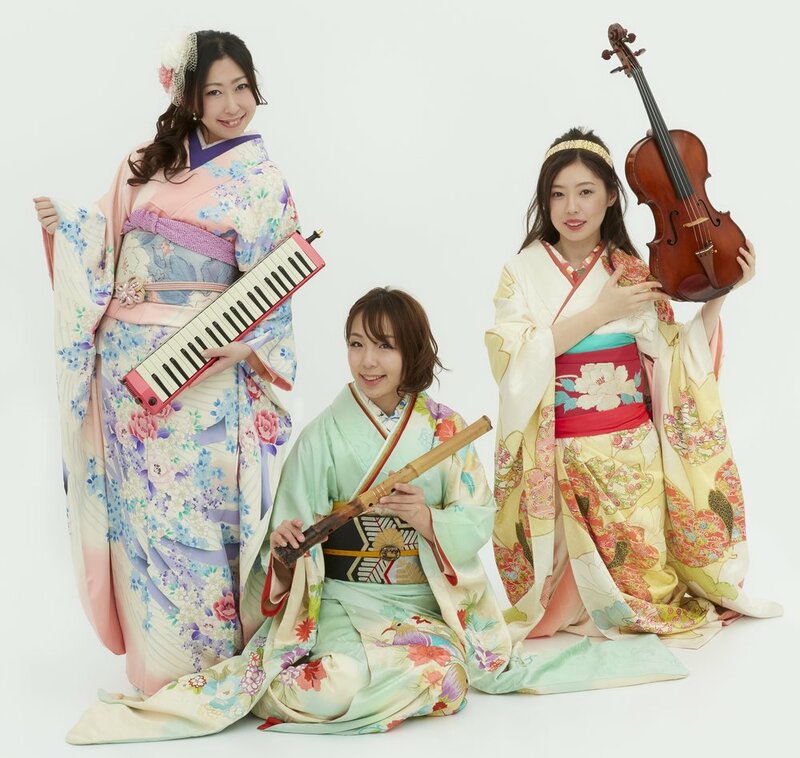 “Sashie” is comprised of three members: “sa” represents pianist Yumi Kadota, “shi” represents shakuhachi player Kohzan Shiba, and “e” represents violist Ayumi Watanabe. Pianist Yumi Kadota graduated from the Piano Department of the Tokyo College of Music. In 2005, she received a Master Class diploma from the University of Music and Performing Arts in Vienna, Austria. Kadota was awarded the Prize of Excellence in the Grand Muse category of the 27th National PTNA Piano Competition, as well as 3rd place in the College Student category of the 8th Junior Classical Music Competition in Japan. Since 2006, Kadota has played at various Japanese domestic concerts. Shiba Kohzan first encountered the shakuhachi at the age of 19 while studying at the Vocal Music department of her university. While in college, she formed a performance group centered around piano and shakuhachi. Since making her professional debut, she has collaborated with many musicians in a wide range of genres, and she currently performs both domestically and internationally. Shiba teaches shakuhachi at her own Shiba Music Studio in order to cultivate the next generation of musicians. She graduated from the vocal music course of the Music Department at Nihon University’s College of Arts. Shiba is a member of the Japan Sankyoku Association and a Japanese member of Orchestra Asia. Ayumi Watanabe graduated from Senzoku Gakuen College of Music where she majored in viola. She has released an album every year since 2017. In 2018, she was selected from more than 1000 applicants to perform as a member of the STAND UP! CLASSIC sponsored by Sony Music Entertainment. Watanabe gives wide-ranging performances in a variety of musical genres, such as pop and jazz. Her specialties include appearances that pair her with Japanese musical instruments and singers, musical improvisation, and using effectors in her performances and ambient music. She engages in extensive activities as both a violist and a composer. To learn more about “Sachet,” please click here. 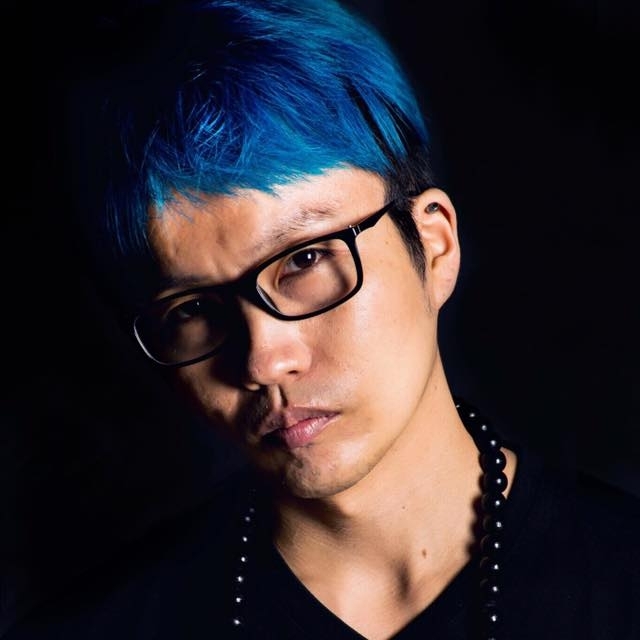 Singer, songwriter and composer Kohei is an all-around entertainer. 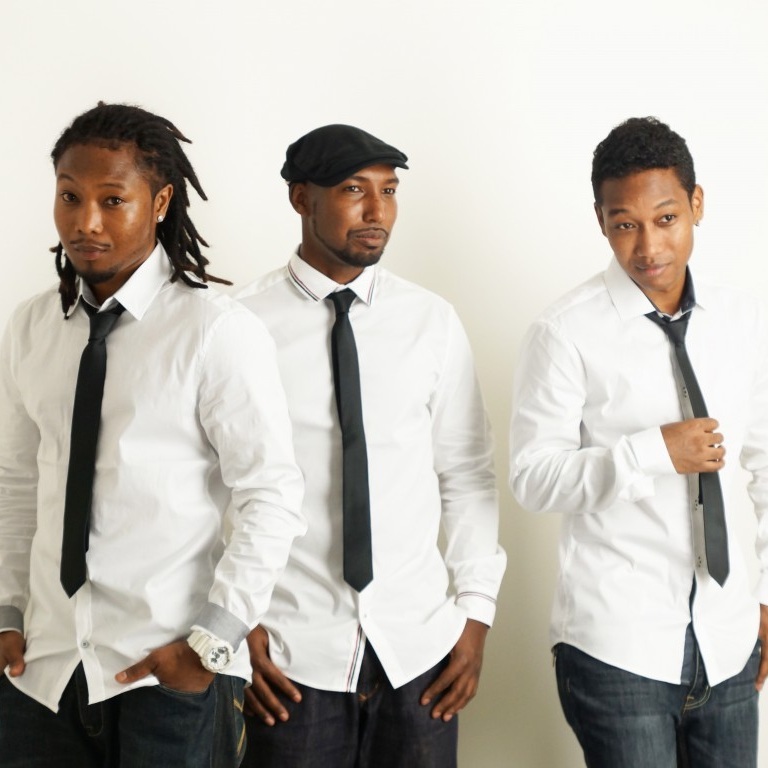 The Apollo winner and McDonald’s GospelFest finalist has opened for the likes of Wu Tang Clan’s Raekwon, Lil Mama, Lyfe Jennings and Case, and has also been featured on the Steve Harvey Show and Sony's M-On TV with Japanese Recording Artist The RAMPAGE. Kohei is equally known for his emceeing prowess and is the official host of the East Coast's largest Japanese street fare - Japan Fes - as well as J-Anime Night. As a IFA United Nations NGO-OCCAM International Ambassador-Singer, Kohei encourages cultural exchange between Japan and the United States. Kaminari Taiko was founded in 1996 by Jay Mochizuki along with a number of talented musicians from diverse backgrounds and ethnicities. Kaminari's unique style of dynamic taiko performance is inspired by the traditional values of Japanese art and propulsive, toe-tapping world beats. The group's high-energy shows are powered by an arsenal of over 30 professional-quality taiko. Kaminari Taiko enjoys sharing the spirit of taiko with audiences throughout Texas and beyond. Over the past nineteen years, Kaminari has toured to over 20 cites, performed hundreds of concerts for live audiences exceeding 150,000, and developed into a prominent performing taiko group.